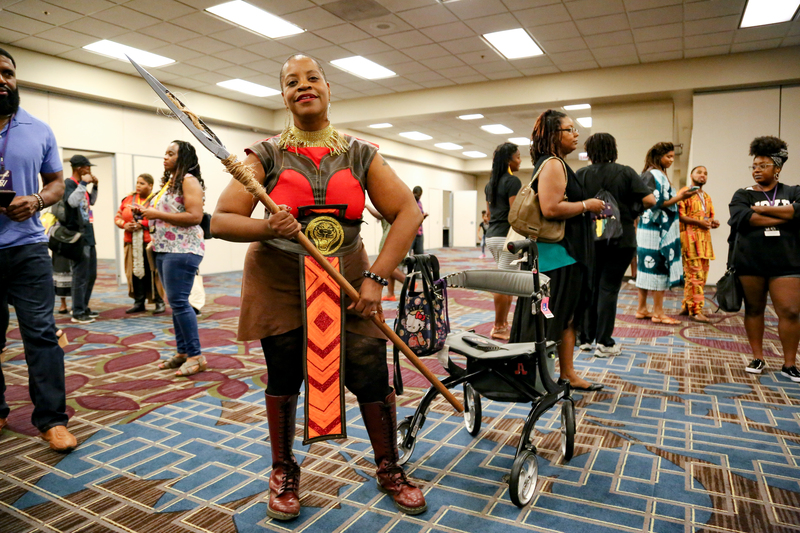 As the unofficial Black Panther-themed convention came to a close Sunday, there wasn’t a dry eye at the panel table when organizers thanked attendees, volunteers and their loved ones for their part in bringing to life the first WakandaCon. 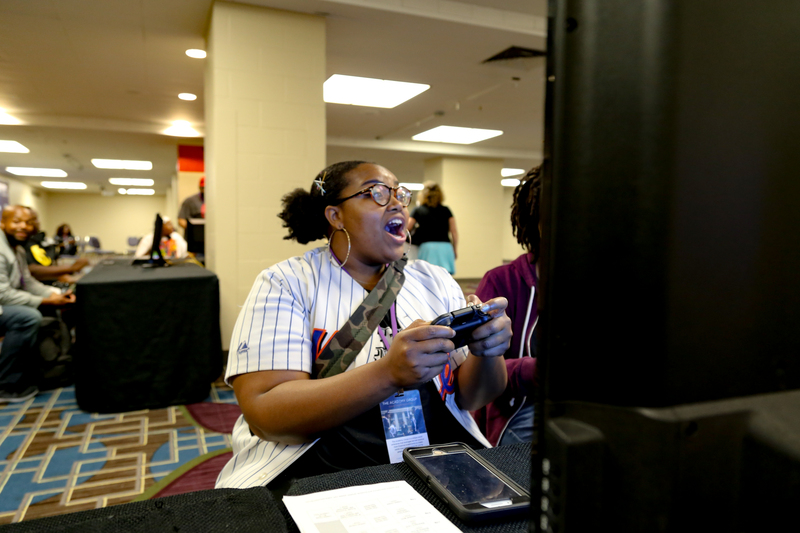 The three-day event at the Hilton Downtown Chicago included what you’d expect from a convention like this: video gaming, cosplay flaunting and merchandise booths. But it also provided platforms for discussions that included race, sexuality and politics. 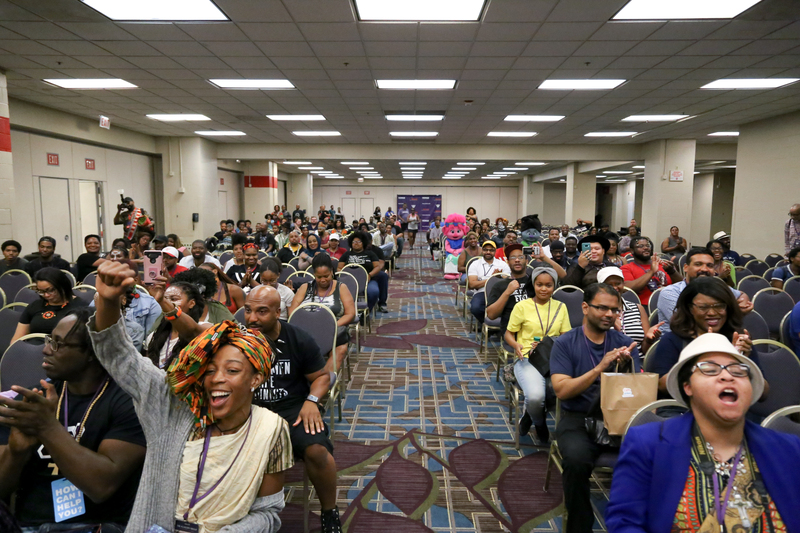 “We wanted to make this a place where I could see other black nerds, where we could come together and nerd out on anything,” said WakandaCon co-founder Matt Barthwell. Co-founder and entrepreneur David Barthwell shared his story of how he’s always been a planner, saving money since he was 5 years old. “My dream my whole life has been to buy a house,” he said. 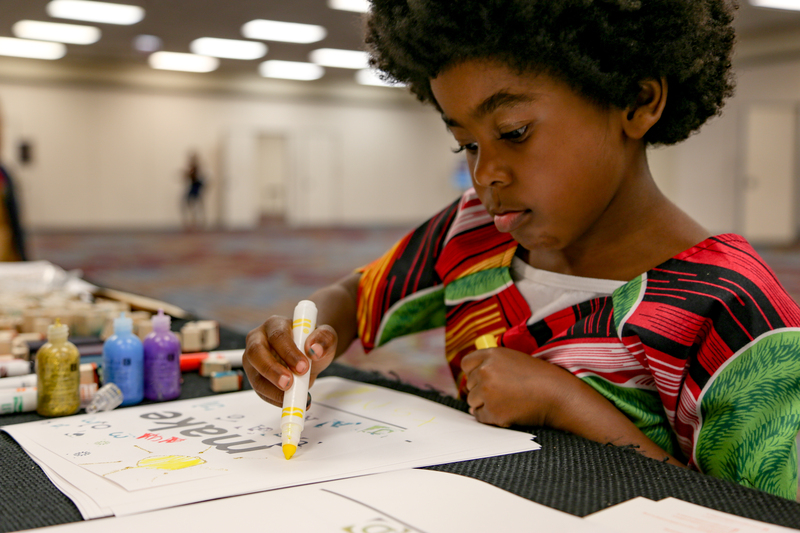 He broke down while telling the audience he emptied his savings to help make WakandaCon happen. And yet, the vulnerable moment didn’t seem out of place. Had you showed up late, you would have walked in on individuals holding each other, yelling out words of encouragement as if it were an annual family reunion. That’s how Lance Evans and his now-fiancée, Christen Johnson, felt after Evans surprised the Chicago Tribune editorial assistant with a wedding proposal. “Kind of having my family already here, just showing love to us and being happy for us — people we haven’t even met — it’s the best feeling ever,” said Johnson. 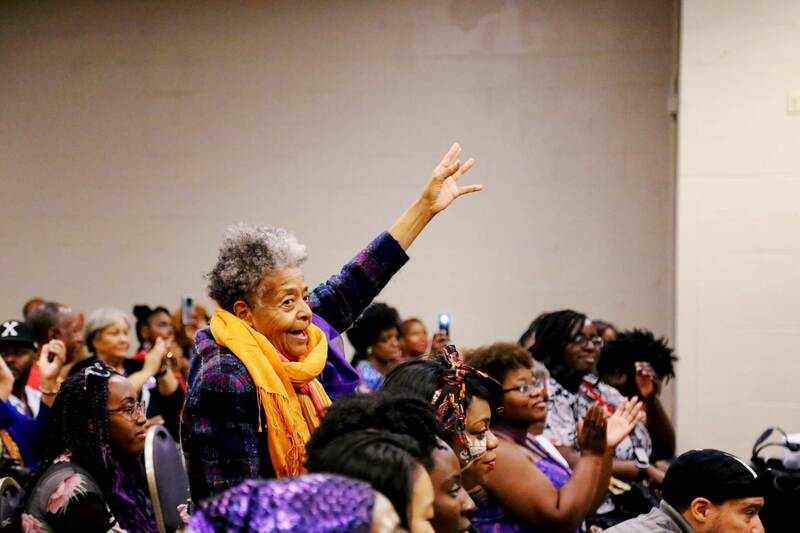 WakandaCon organizers planned the special moment with Evans. 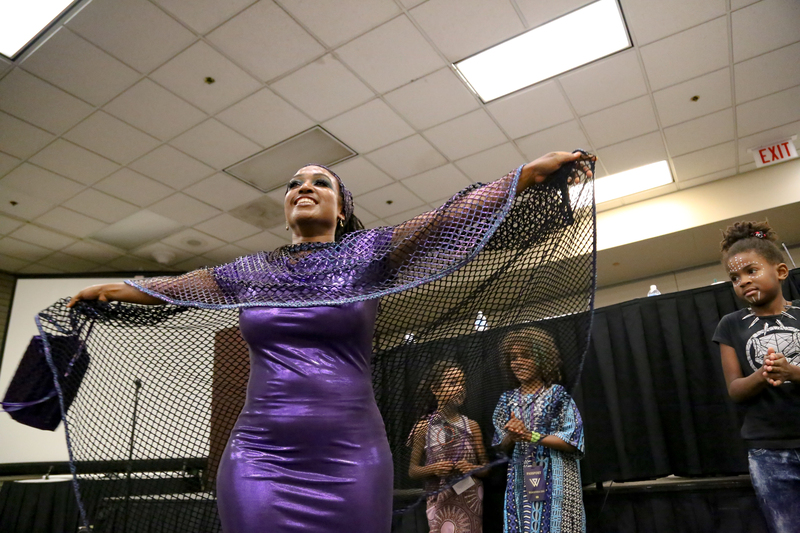 Left: An attendee shows off her costume at the inaugural convention. Right: Zuri cosplayer Kevin Wilson poses with his daughter Ashley. “She designed my costume,” said Kevin Wilson. 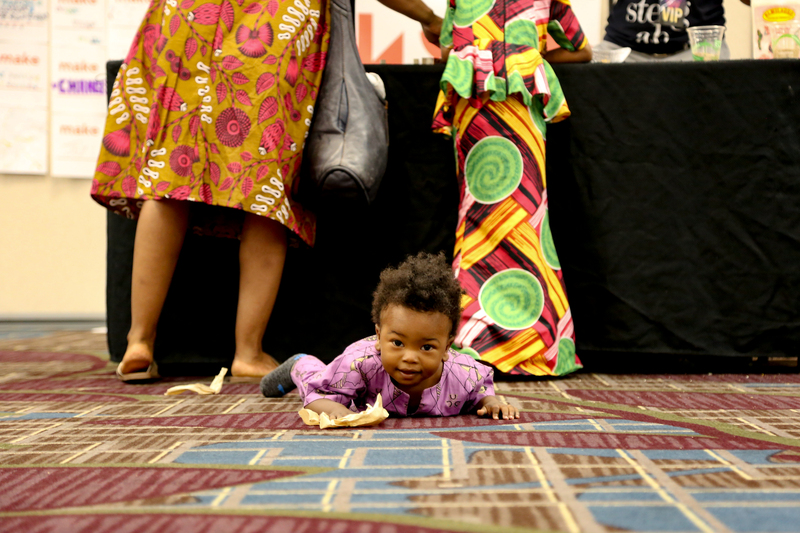 Fanon Roberts, 1, lies on the convention floor while his sister and mother take in more of the WakandaCon festivities behind him. According to Fanon Roberts’ mom, the family spent the whole day at WakandaCon. Big sister Tsage, 5, creates some art. 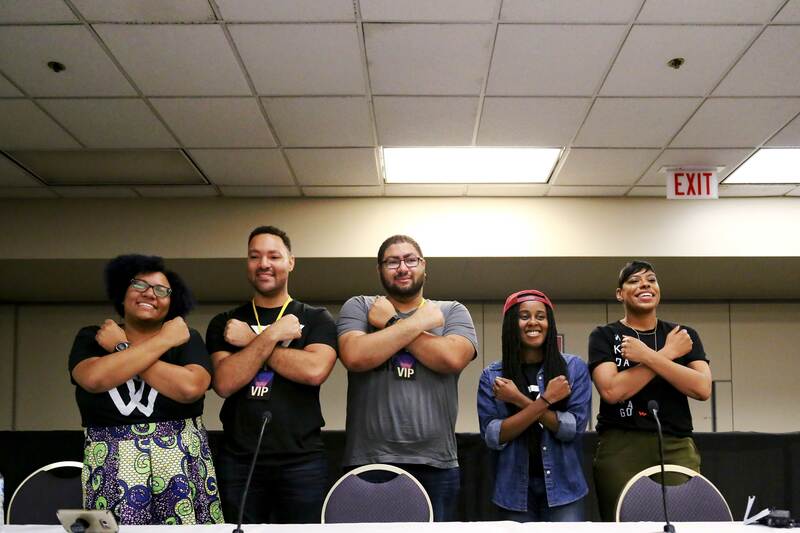 From left to right: Co-founders and siblings Ali, David and Matt Barthwell pose with the official Wakandan greeting alongside fellow convention organizers Lisa Beasley and Taylor Witten. 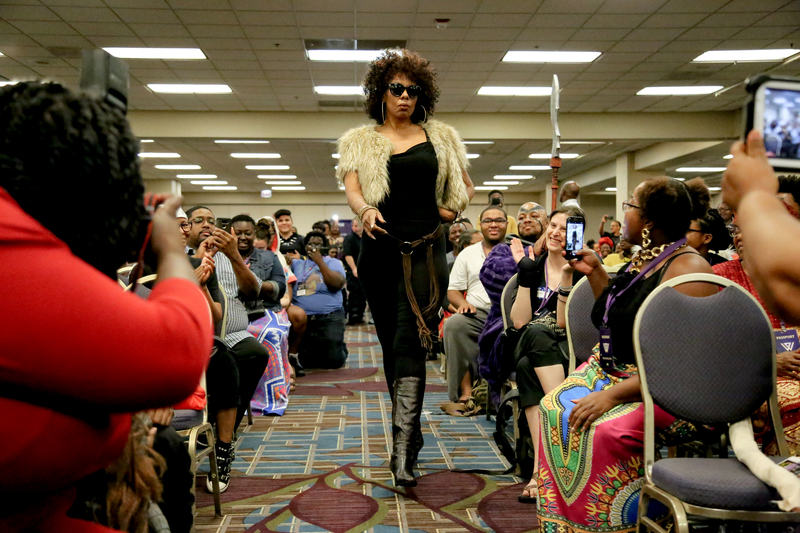 Cosplayers “walked the runway” as attendees looked on at the different Black Panther-themed outfits. 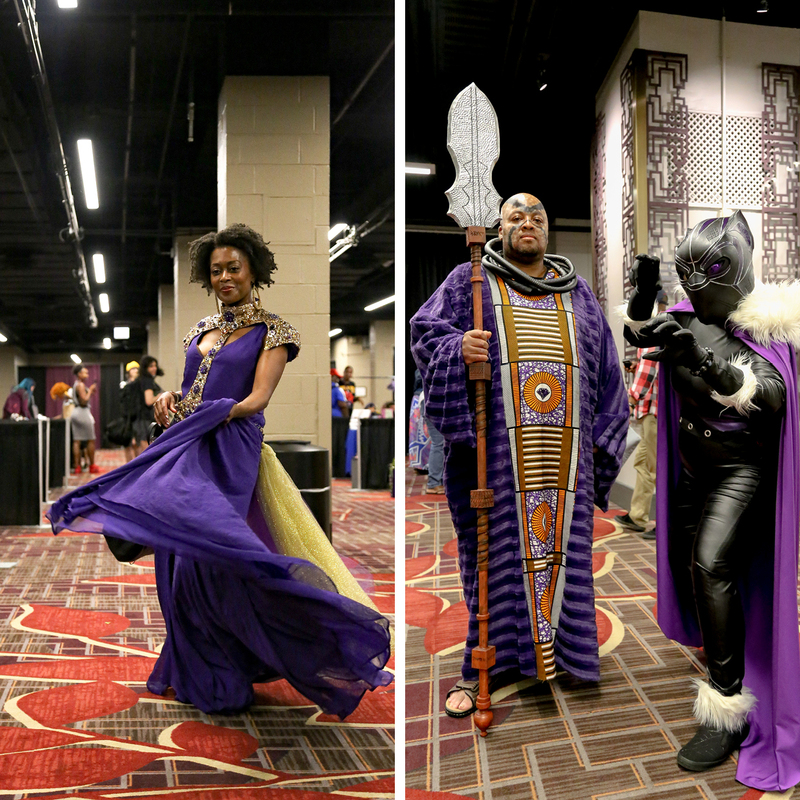 Attendees celebrate the three-day convention on Aug. 5, the last day of the inaugural WakandaCon in Chicago. 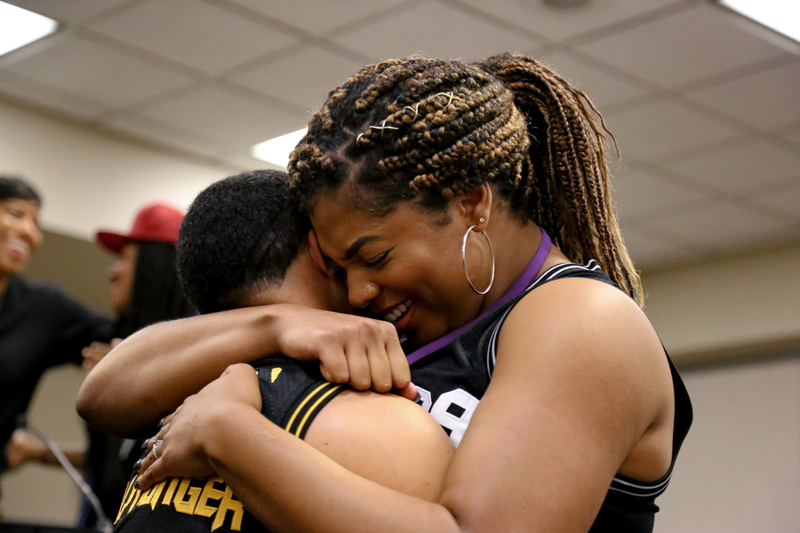 Black Panther fans Lance Evans, 28, and Christen Johnson, 24, embrace after Evans surprised Johnson with a proposal on the last day of the convention.